paneer nuggets recipe | paneer bites | crispy cottage cheese nuggets with detailed photo and video recipe. basically a paneer based snack which is either battered or breaded then deep fried in a cooking oil. it is an vegetarian fast food alternative to chicken nuggets or chicken bites served in mcdonald’s as mcuggets. paneer nuggets recipe | paneer bites | crispy cottage cheese nuggets with step by step photo and video recipe. typically the nuggets are considered as unhealthy and fatty food, especially those served in fast food restaurants. however this recipe of homemade paneer nuggets would not be treated as healthy, but certainly above the standards to the one served in fast food restaurant chains. to be honest i avoid deep fried snack recipes, however i just can’t resist this recipe only because it is prepared from paneer. i prepare this recipe quite often. basically whenever i plan to prepare any paneer curries i make sure to keep some paneer cubes aside for some crispy paneer nuggets recipe. 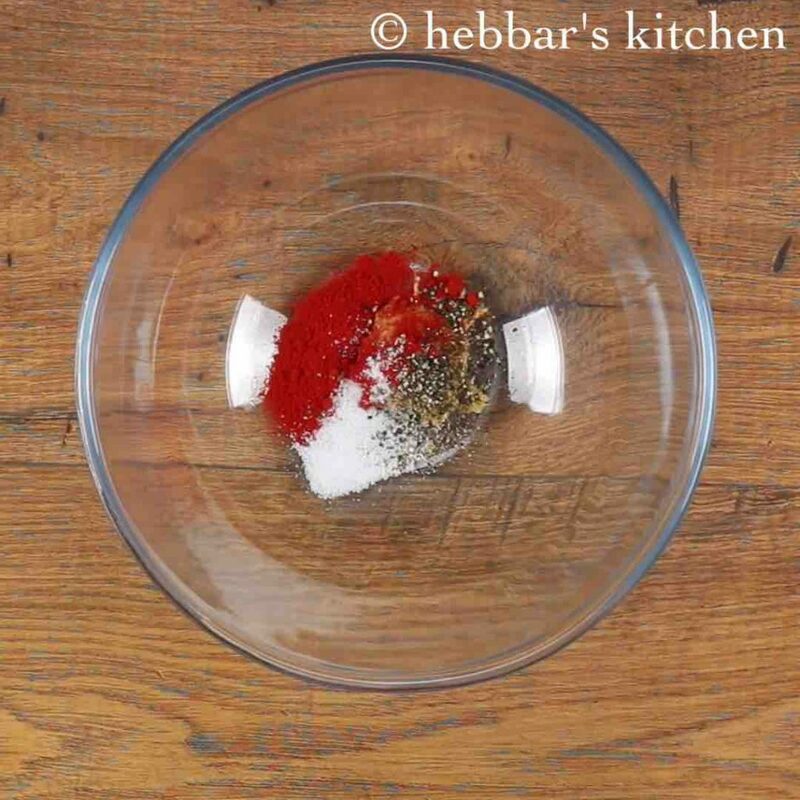 more frequently i end up using with just bread crumbs for the outer covering, however i even prepare the same recipe with crushed corn flakes. 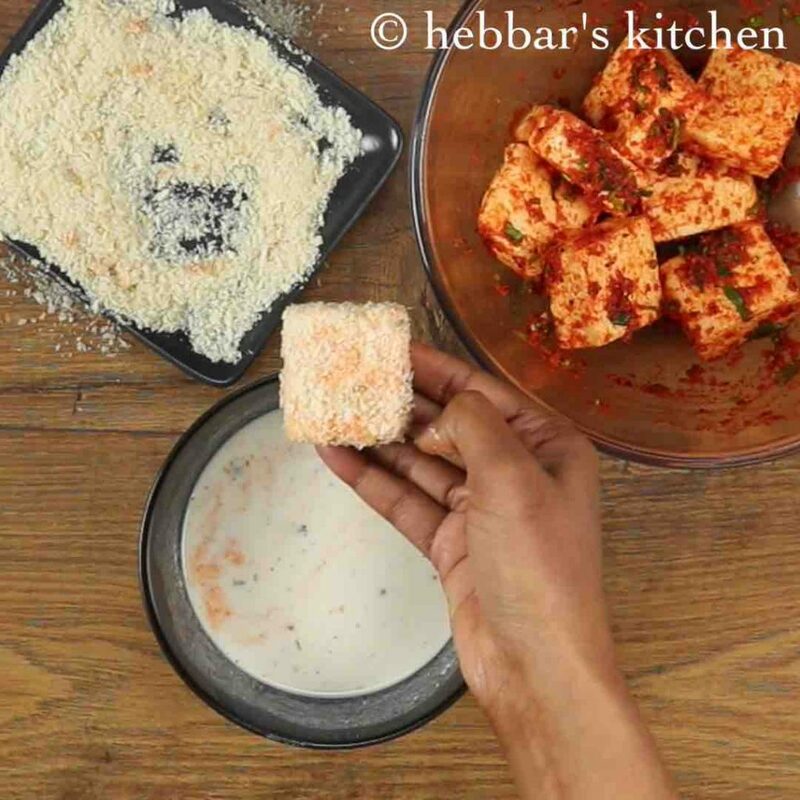 there isn’t much difference with the taste, but the corn flakes gives a nice texture to paneer bites. i would recommend to use panko breadcrumbs however, as it is easy and less messy while deep frying. 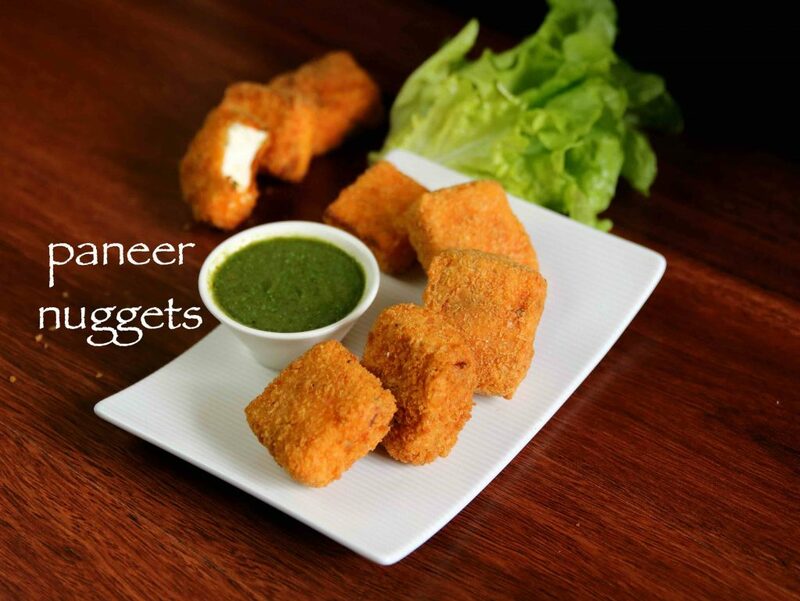 furthermore, some important and critical tips for a perfect paneer nuggets recipe. firstly, i would heavily recommend to use moist and soft paneer for this recipe. i have used homemade paneer for this recipe, you can use store bought fresh paneer too. 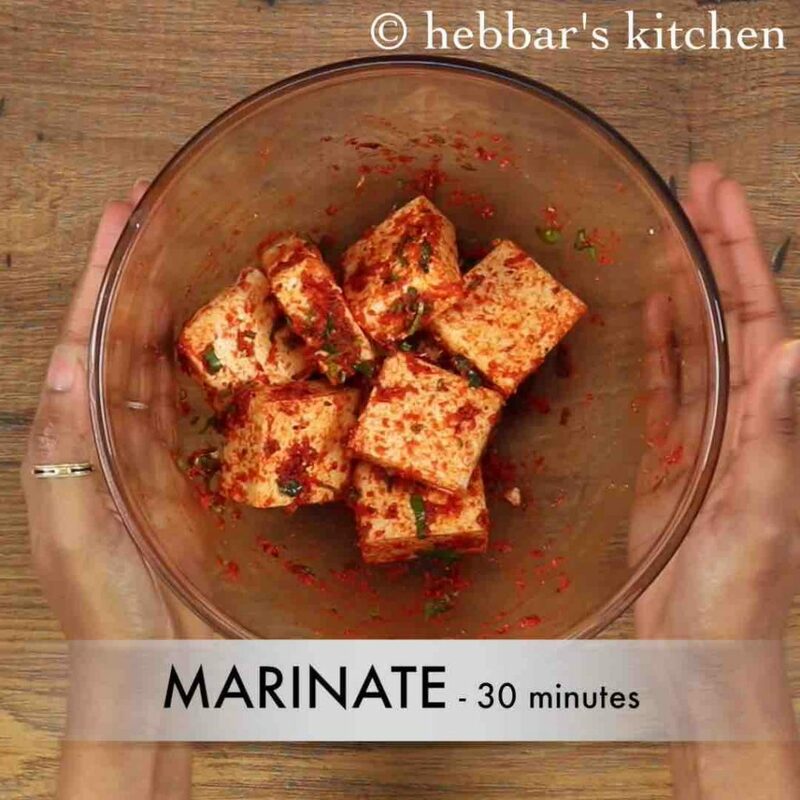 secondly, marinating paneer is completely optional, however they make paneer more moist and flavourful. finally, if your paneer is not soft, then make sure to soak paneer in warm water for 30 minutes before using. 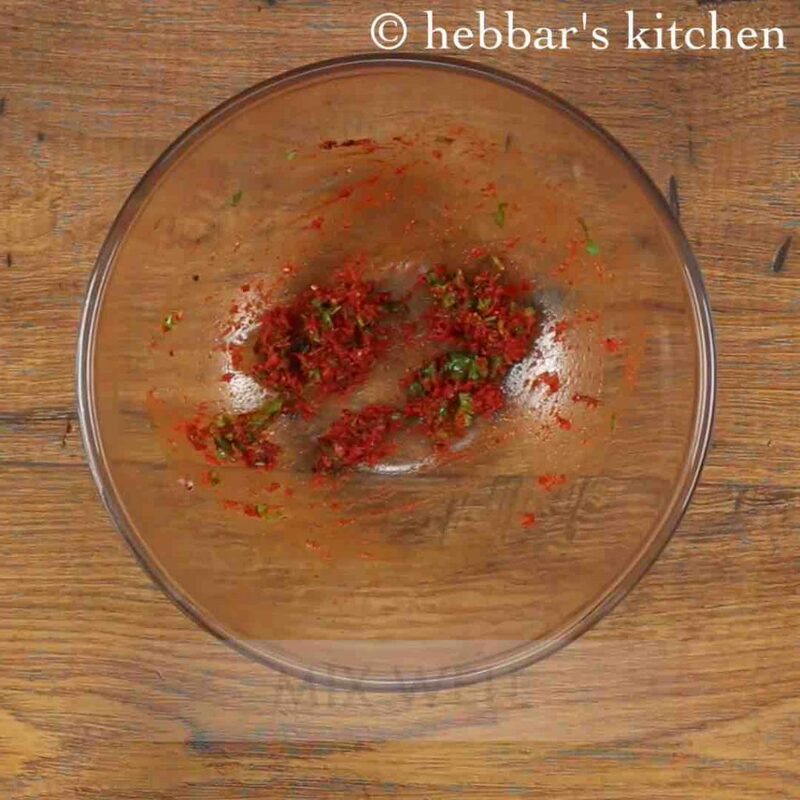 firstly, in a large mixing bowl take 1 tsp ginger-garlic paste, ½ tsp chilli powder, ½ tsp pepper and salt to taste. also add 2 tbsp coriander leaves and 1 tbsp lemon juice. mix well to form paste. 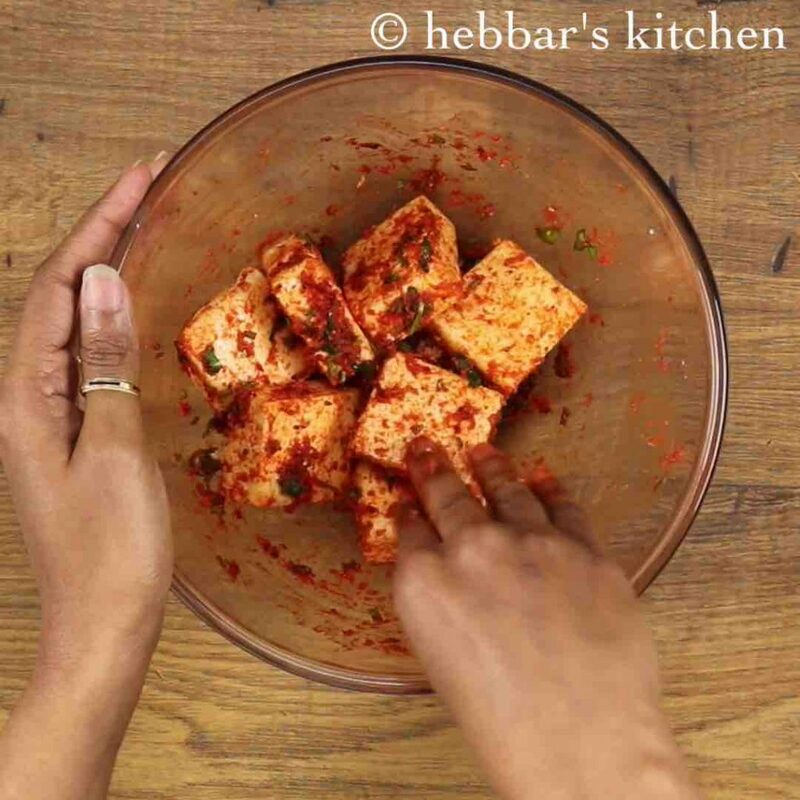 coat the prepared paste to paneer cubes. cover and allow to marinate in refrigerator for 30 minutes. 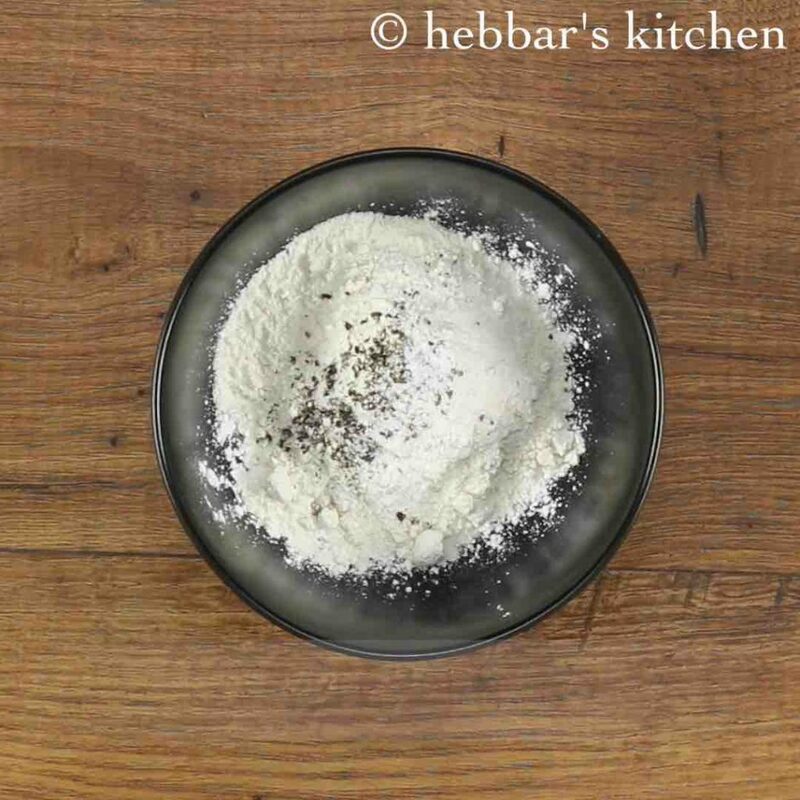 meanwhile prepare maida batter by mixing, ¼ cup corn flour, 2 tbsp maida, ½ tsp pepper and salt to taste. 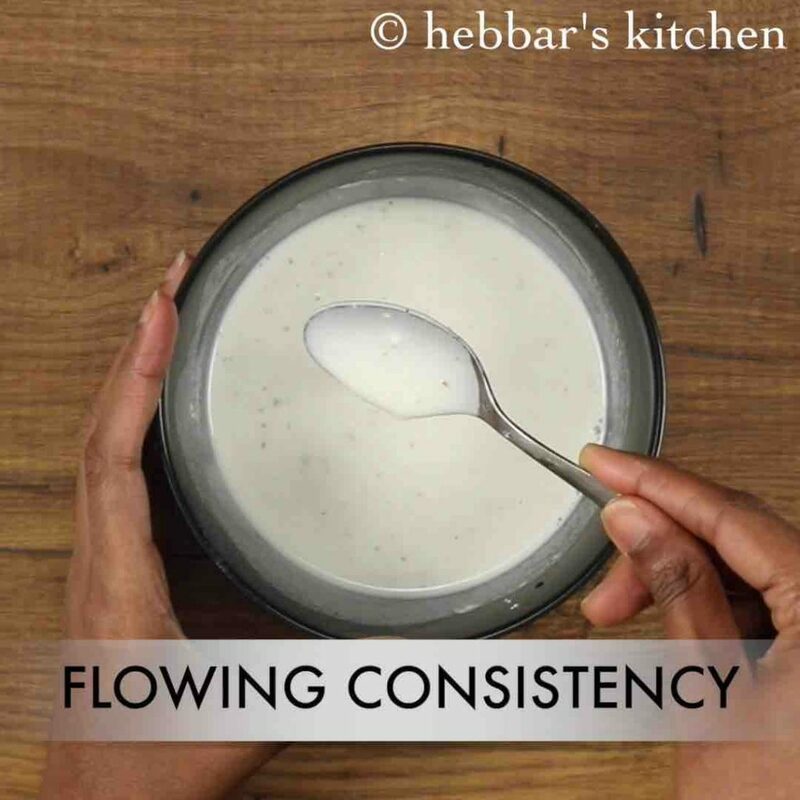 add ½ cup water and prepare lump free, flowing consistency batter. 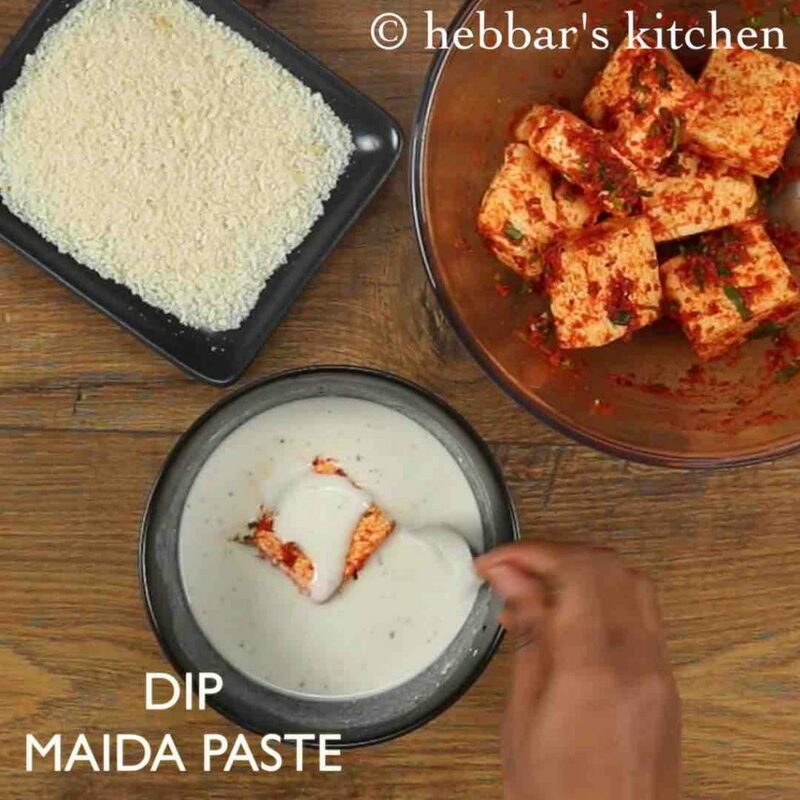 dip the marinated paneer into maida paste and coat well. now coat with bread crumbs covering all sides. use panko bread crumbs / crushed corn flakes as they give nice texture. 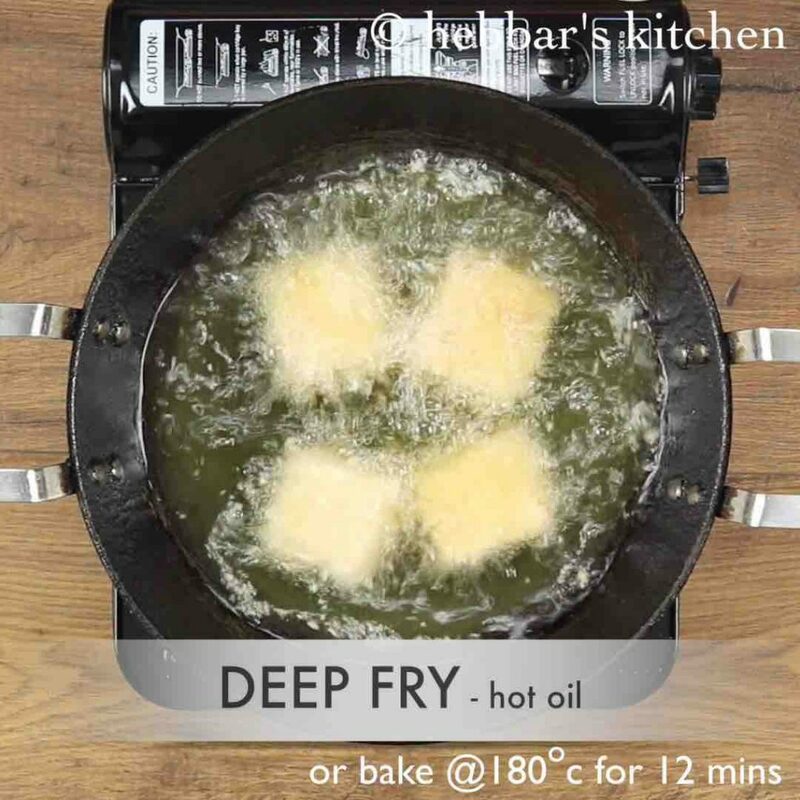 deep fry the paneer nuggets in hot oil. alternatively, bake in preheated oven at 180 degree celsius for 12 minutes. fry on medium flame, stirring occasionally till it turns golden brown. 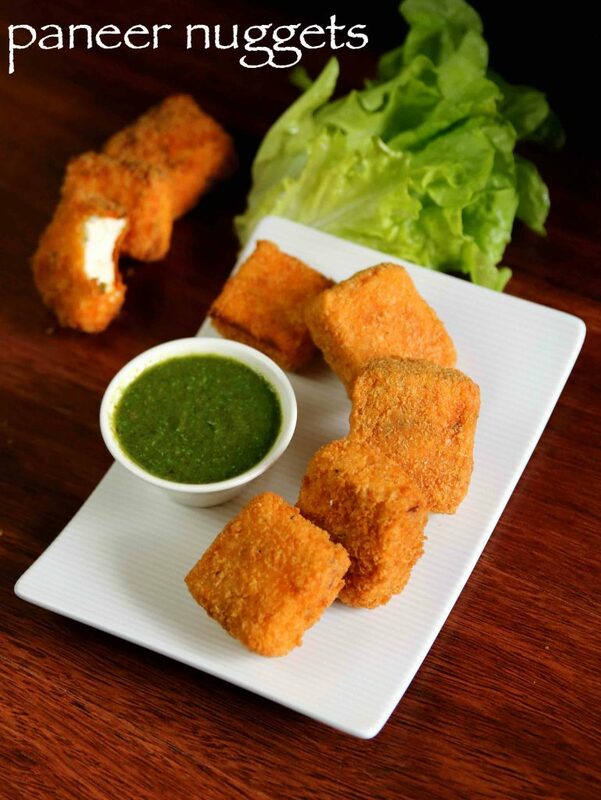 finally, serve crispy paneer nuggets with green chutney or tomato sauce. further, dip the marinated paneer into maida paste and coat well. firstly, use panko bread crumbs / crushed corn flakes to get nice crispy bites. also add in a tsp of curd while marinating paneer to get more flavours. 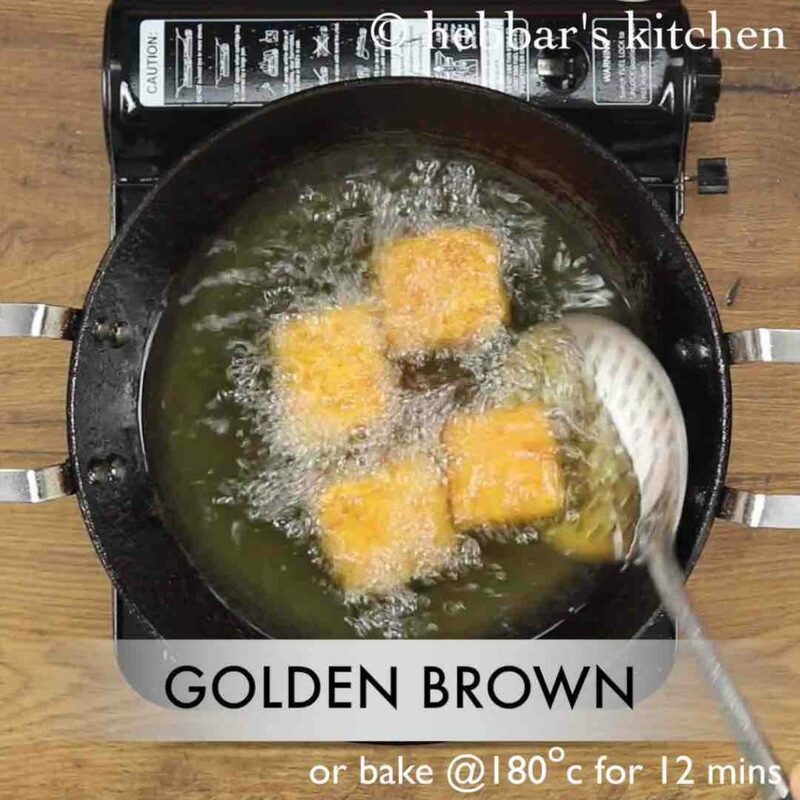 alternatively, bake paneer nuggets in preheated oven at 180 degree celsius for 12 minutes. 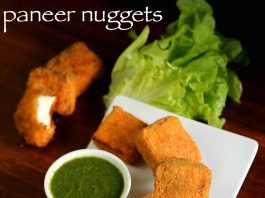 finally, paneer nuggets taste great when served hot and crispy. Thanks Team… this came out really well..
you can prepare everything before in hand and refrigerate.. deep fry just before serving. thank you for sharing all the wonderful recipes.